Arunachal Pradesh Chief Minister Pema Khandu on Monday announced enhancement of wages of the skilled and unskilled labourers of the State Government with effect from January 1, 2019. 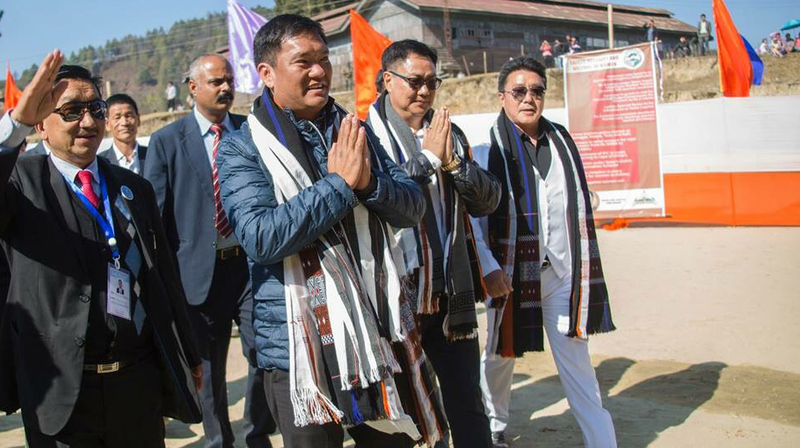 Khandu made the announcement while addressing the second leg of Arunachal Rising Campaign at Ziro, the headquarters of Lower Subansiri district. The chief minister affirmed to bear the additional financial burden on the State exchequer which would at around Rs 100 crore. “Due to team work we have been able to achieve unprecedented growth in our revenue generation. Now it is time for the government to give back to its team members and our working class is one of the strongest members of Team Arunachal,” the Arunachal CM said. As per a latest government order, the initial wages of the unskilled contingent employees/casual workers/daily labourers has been enhanced from Rs 8,000 per month to Rs 10,000 per month and from Rs 9,000 per month to Rs 11,000 per month for the skilled contingent employees. Further, unskilled contingent employees after completing 15 years and above in service were getting fixed wages of Rs 11,000 per month till retirement. Arunachal CM Khandu’s New Year gift will now enable the unskilled lot to be paid Rs 13000 during their 15-20 years of service and Rs 16,000 after completing 20 years, thereby, taking home additional amount of Rs 5,000 per month. On the other hand, the skilled contingent employees after completing 15 years and above in service were getting fixed wages of Rs 11,500 pm till retirement. Now they will be paid Rs. 14,000 as monthly wages during their 15-20 years of service and after completing 20 years of service they will get Rs 17000 empowering them to take home an additional amount of Rs. 6000 per month. The State government has around 35000 skilled and unskilled contingent employees working in various sectors across the state including the Auxiliary Labour Corps (ALCs). At least 5000 of these contingent employees have completed 20 years in service.